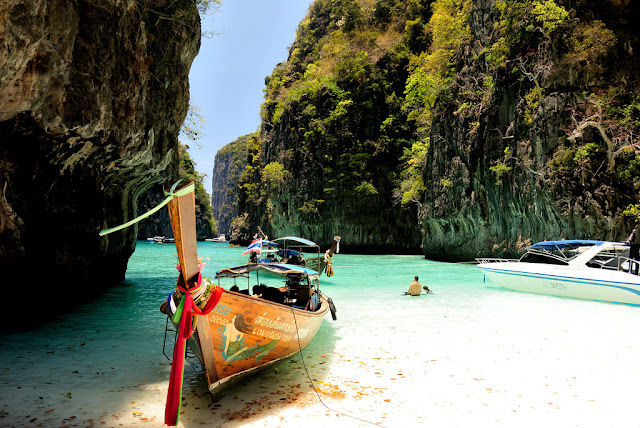 Phuket, which is approximately the size of Singapore, is Thailand’s largest island. The island is connected to mainland Thailand by two bridges. 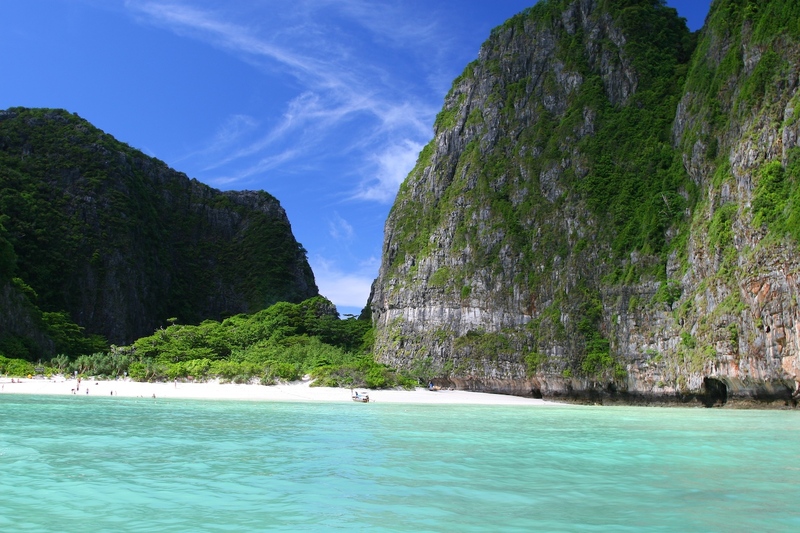 It is situated off the west coast of Thailand in the Andaman Sea. Phuket formerly derived its wealth from tin and rubber, and enjoyed a rich and colorful history. The island was on one of the major trading routes between India and China, and was frequently mentioned in foreign ship logs of Portuguese, French, Dutch and English traders. The region now derives much of its income from tourism. One of the most popular tourist areas on Phuket is Patong Beach on the central western coast, perhaps owing to the easy access to its wide and long beach. 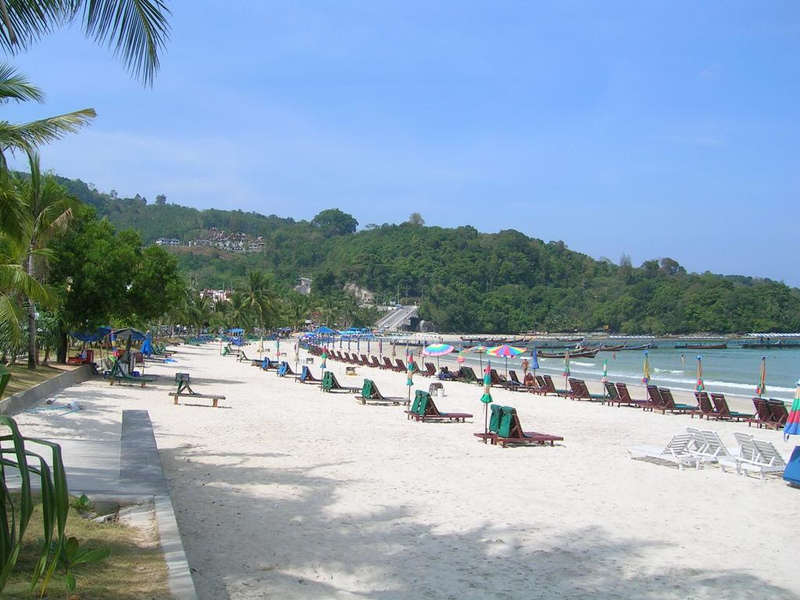 Most of Phuket's nightlife and its cheap shopping is located in Patong, and the area has become increasingly developed. Patong means "the forest filled with banana leaves" in Thai. 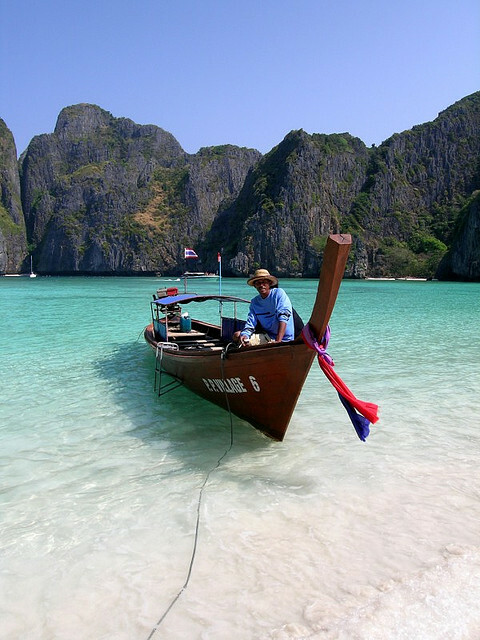 As the biggest island in Thailand, by its size, Phuket is a heaven for leisure activities. Both on land and in water, myriads of things to do await to serve all preferences. Whether you like action in the water, there are water sports available such as sailing, windsurfing, water-skiing and jet ski. They are available for rent at watersport centres, sailing classes are also offered by sailing schools. Kayaking or canoeing is available at most of the resorts and watersport centres located throughout. As the island abounds with magnificent marine life, scuba diving and snorkeling should not be missed. You can also take a trip with a submarine to discover the colorful marine lives under the sea. Golf has become one of the most popular sports in Phuket due to several well-designed golf courses and scenic environs. More adrenaline-driven sports like paintball, bungee jumping or go-kart are available too. 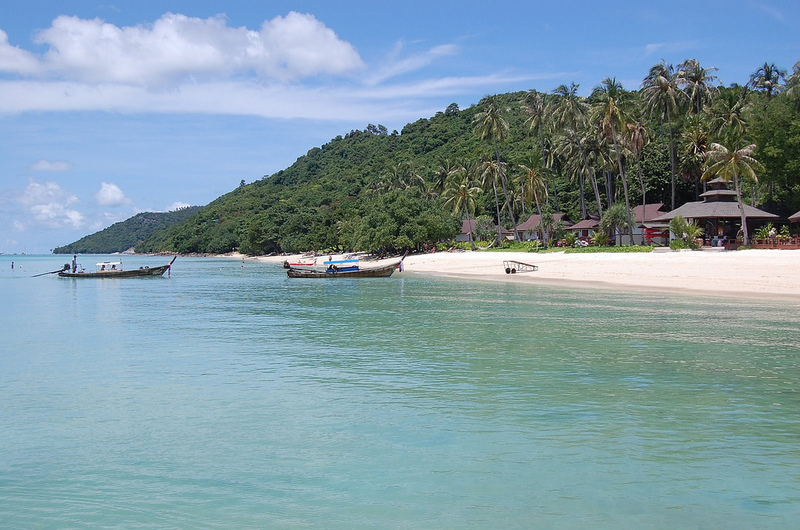 Phuket has hundreds kilometres of magnificent coastline which brings about beautiful beaches. Its twisted and contorted coastline hides breathtaking bays and lagoons. 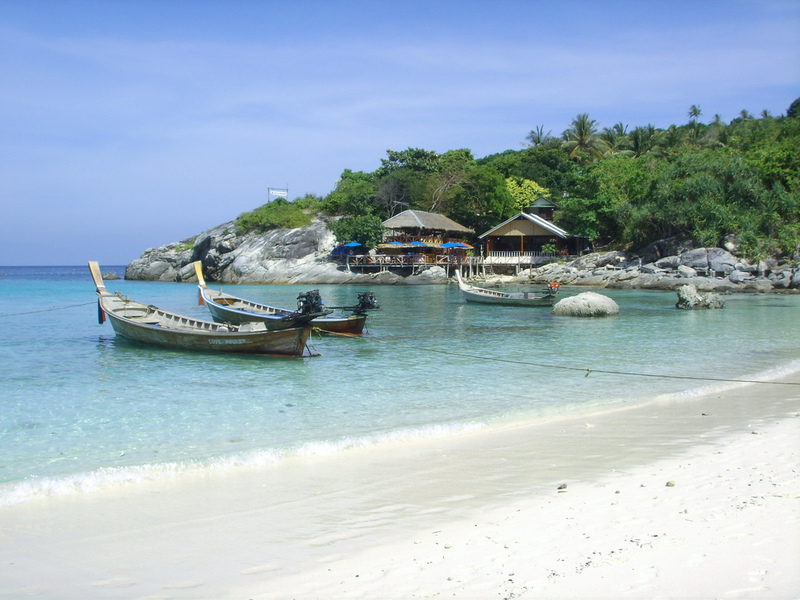 The island boasts more than 25 beaches with diverse characteristics, shapes, atmospheres with a lot of different activities. 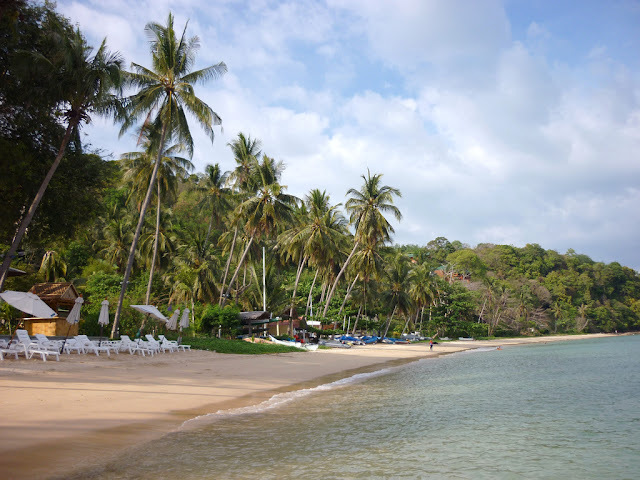 Everywhere on Phuket Island is beautiful but the south part of the island is straight out of a tropical daydream. 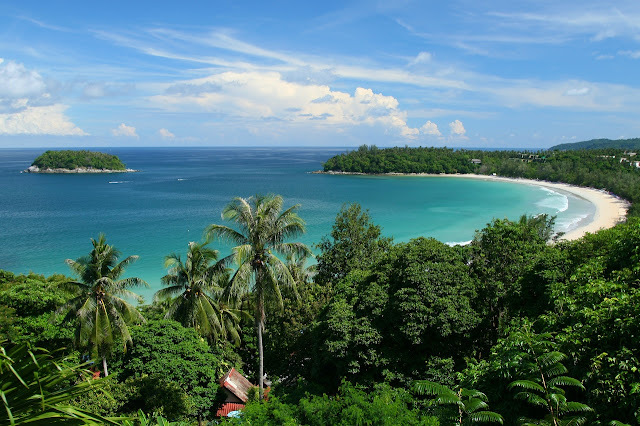 The southern coastline is blessed with magnificent mountains covered with lush jungle forest that stretch out to meet the azure blue sea and are framed with white powder sandy beaches and fringed with coral reefs. 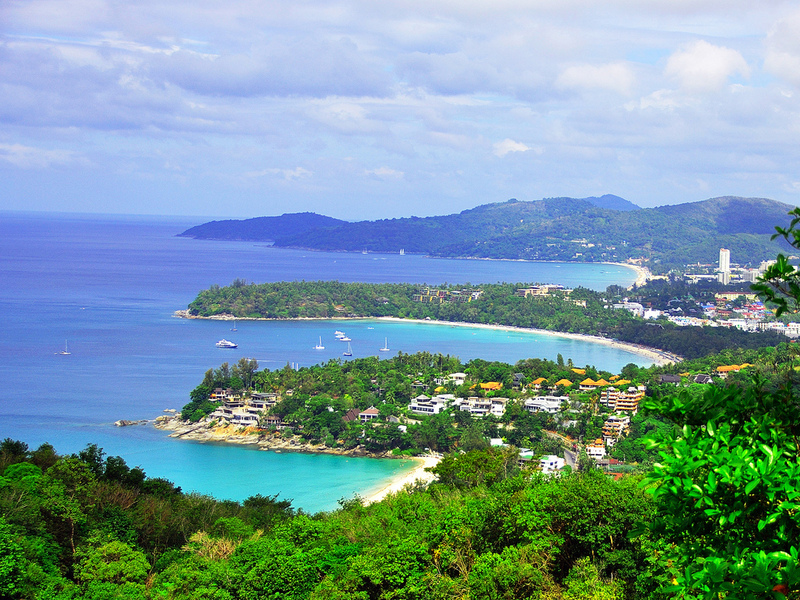 When you see a photograph of Phuket, it is likely to have been taken in the south part of the island. The southern beaches offer superb vistas and some of the most glorious sunsets in the world. 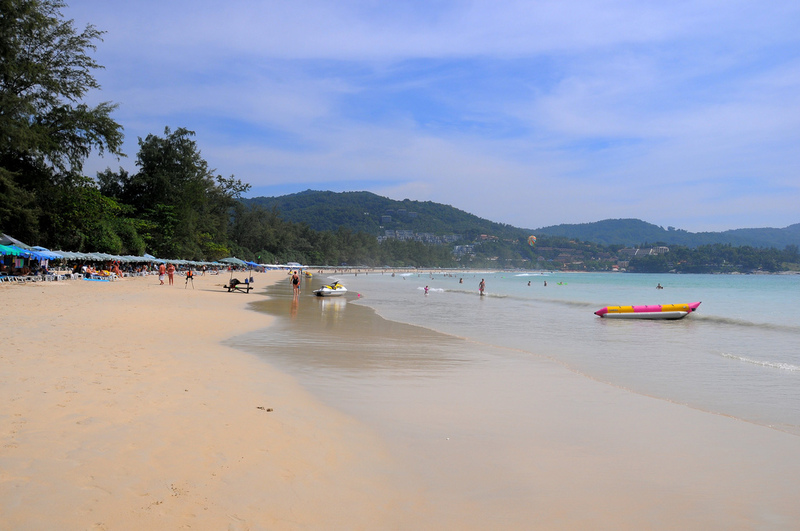 One of the most popular tourist areas on Phuket is Patong Beach and other popular beaches are located south of Patong. In a counterclockwise direction these include Karon Beach, Kata Beach, Kata Noi Beach, and around the southern tip of the island, Nai Harn Beach and Rawai. 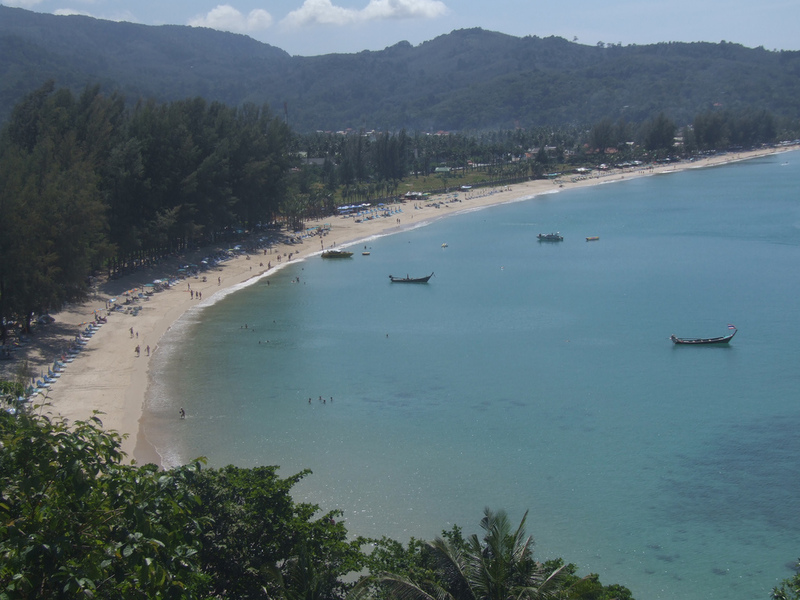 To the north of Patong are Kamala Beach, Surin Beach and Bang Tao Beach.